Announcement: First Impact Factor for Annals of Physical and Rehabilitation Medicine! Following a recent Journal Citation Reports® reload, we are pleased to announce that Annals of Physical and Rehabilitation Medicine has received its first Impact Factor. Pathways back to driving after acquired brain injury: Patients do not always follow medical advice! Fixed-distance walk tests at comfortable and fast speed: Potential tools for the functional assessment of coronary patients? Is practice rate rather than exercise intensity more important in health benefits of moderately obese postmenopausal women? 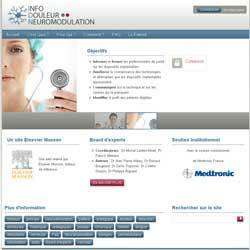 Respiratory neuromodulation in patients with neurological pathologies: For whom and how? Hemi-spatial neglect rehabilitation using non-invasive brain stimulation: Or how to modulate the disconnection syndrome? Botulinum toxin A for treating spasticity in adults: Costly for French hospitals? Should abstracts for rehabilitation congresses be subject to more rigorous selection? Lower back pain and neck pain: Is it possible to identify the painful side by palpation only? To prescribe or not to prescribe… (in chronic pain… and elsewhere…)? Do patients have any special medical or rehabilitation difficulties after a craniectomy for malignant cerebral infarction during their hospitalization in a physical medicine and rehabilitation department? Do French medical schools provide appropriate training on gait and gait disorders? Which factors affect the duration of inpatient rehabilitation after total knee arthroplasty in the absence of complications? Chronic neuropathic pain in spinal cord injury patients: What relevant additional clinical exams should be performed? What are the risk factors of occurence and chronicity of neuropathic pain in spinal cord injury patients? Chronic neuropathic pain of spinal cord injury: What is the effectiveness of psychocomportemental management? Chronic neuropathic pain in spinal cord injury patients: What is the impact of social and environmental factors on care management? The chronic neuropathic pain of spinal cord injury: Which efficiency of neuropathics stimulations? Pain management: What’s the more efficient model? Are there indications (other than scoliosis) for rigid orthopaedic brace treatment in chronic, mechanical low back pain? Chronic neck pain and vertigo: Is a true balance disorder present?